Research in: Agricultural & Veterinary Sciences ISSN 2520-6516 (Online), ISSN 2520-6737 (Print) is fully open access, strictly peer-reviewed publication which strongly encourages a multidisciplinary approach to research. 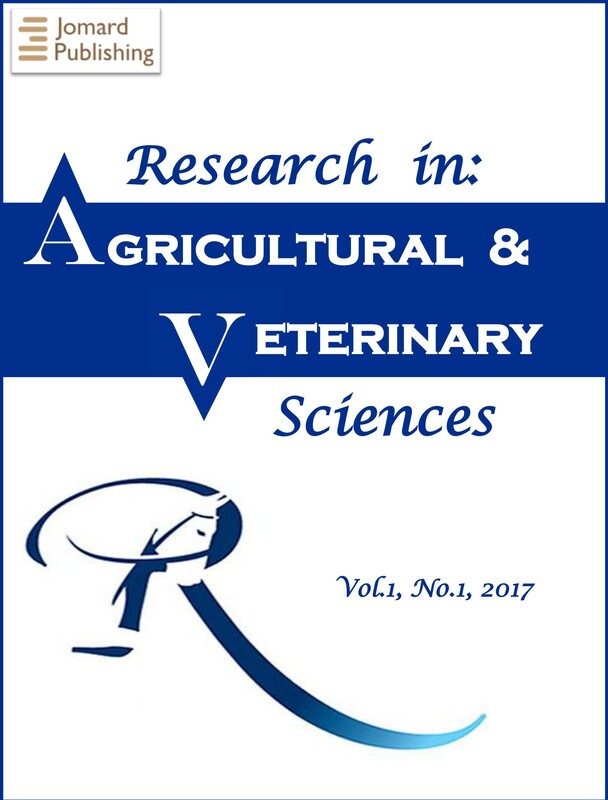 The scope of the journal is intentionally broad and includes almost all of the key aspects of Agricultural science, veterinary science and veterinary medicine. The journal publishes original research articles and review articles on experimental and modelling research at laboratory, field, farm, landscape, and industrial levels with a focus on new methods and frontiers leading to maximizing the quality and quantity of both plant and animal yield and final products.